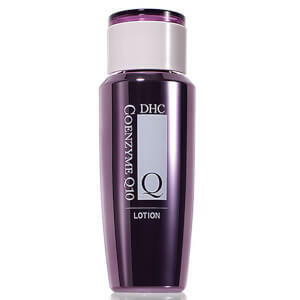 DHC present the Acerola Face Lotion; a radiance-reviving toner developed to combat uneven skin tone and dull complexions. Rich in vitamin C, acerola berries deliver antioxidant protection to fight free radicals, whilst restoring brighter, velvety soft skin with a youthful appearance. Ideal for blemishes and sun damage, skin will be left replenished, refreshed and glowing. E.N. After washing face and patting dry, apply toner to skin with hands or cotton pad. For best results, use with other DHC Acerola products. Water/Aqua/Eau, Butylene Glycol, Glycerin, Aloe Barbadensis Leaf Juice, Phenoxyethanol, Hydroxyproline, Salix Alba (Willow) Bark Extract, Disodium Ascorbyl Sulfate, Allantoin, Serine, Malpighia Emarginata (Acerola) Fruit Extract, Hydrolyzed Yeast, Olea Europaea (Olive) Leaf Extract, Placental Protein, Acetyl Tyrosine, Paeonia Suffruticosa Root Extract, Pueraria Lobata Root Extract.